An archipelago consisting of the sizable Grande Terre as well as a scattering of smaller surrounding islands, New Caledonia has many of the tourist draws characteristic of the South Pacific: long sandy beaches, swaying palm trees, azure lagoons, and coral reefs. It also supports many unique species of plants and animals, such as the tall conifers that tower above the palm trees lining the waterside. Nature lovers on holiday in New Caledonia should head to the lagoon that surrounds Grande Terre: a World Heritage Site and one of the largest lagoons in the world, it is home to countless species of marine life, including endangered dugongs and green sea turtles. The local culture blends French chic and Melanesian warmth, and it is usually a only short walk from the beach to a stylish bar, cafe, or gourmet restaurant. New Caledonia is in South Pacific. 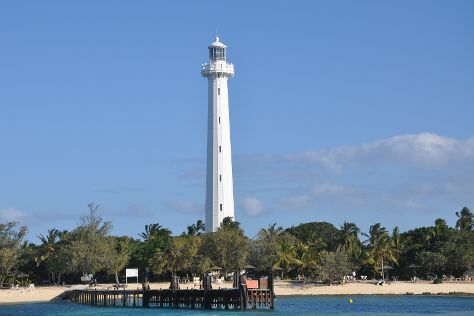 Plan your tour of New Caledonia and New Caledonia travel itinerary using our New Caledonia trip planner.